Imagine you are suffering from debilitating arthritis of your hip joint. After putting off the decision for a few years, you eventually agree to the orthopaedic surgeon’s recommendation that he replace your diseased hip with a shiny new metallic ball-and-socket joint. Within a few days of the surgery you are pain-free and taking your first few tentative steps down the hospital corridor. Shortly thereafter you’re back at home, continuing the rehabilitation process, and within two months you play your first round of golf in years. Imagine your surprise when you read in the newspaper that an orthopaedic implant manufacturer has announced the recall of their hip joints. Could this happen? The simple answer is “yes”. In August 2010. DePuy Orthopaedics, a company located in Warsaw, Indiana, issued a voluntary recall of their ASR Hip System after receiving data from the UK that this metal-on-metal implant was failing at an unacceptably high rate and the patients required revision surgery to insert a new joint. The Food and Drug Administration (FDA) in the USA have a policy that deals with product recalls in three phases. In First Alert, the FDA hears about a problem product because: the company tells them; the FDA discovers the problem when inspecting a company’s manufacturing facility; the FDA hears about the problem from a third party; or the Centers for Disease Control and Prevention contact the FDA. During the next phase, Alerting the Public, the FDA uses the news media and its own website to inform people about the problem. Finally, the FDA conducts Effectiveness Checks to evaluate whether all reasonable efforts have been made either to correct or, if necessary, remove the product. It also investigates why the product was defective in the first place. There are three recall classifications: Class I is the most serious, in which the product has the potential to cause serious health problems or even death; while in Class III, the product only poses a slight danger to the consumer. 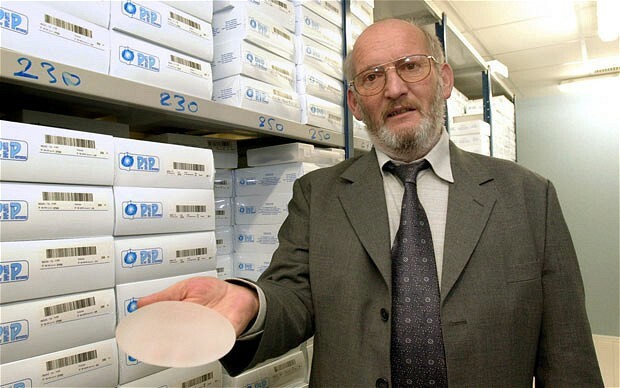 In late 2010 a French manufacturer, Poly Implant Prothese, divulged that it had been using non-medical grade silicone gel in its breast implants, leading to a high rupture rate. The company’s chief executive, Jean-Claude Mas, was arrested in January 2012 and up to 300,000 women worldwide now face the prospect of undergoing further surgery. Rest assured, at CapeRay we take the quality assurance guidelines of the ISO 13485 certification process very seriously. Jean-Claude Mas, President of Poly Implant Prothese (PIP). Copyright AFP and Getty Images. This is now a typical example how things can go wrong by have a bad functioning CRM system. Maybe a good subject for our next upcoming meeting. Thanks for the feedback, Leendert. Yes, Roland and I will show you our Customer Relationship Management (CRM) system when we next meet.